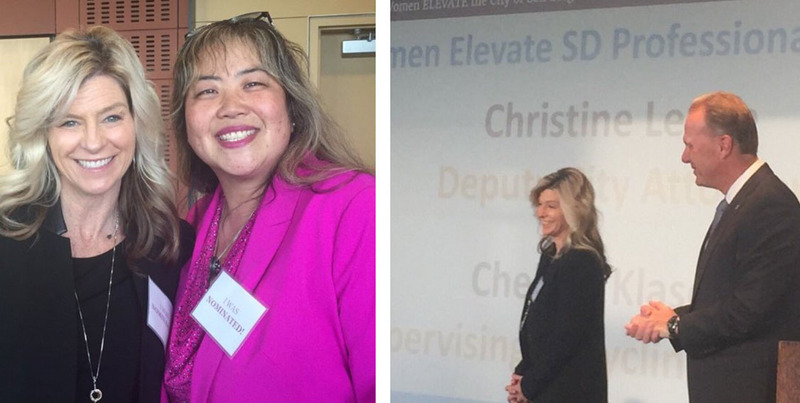 San Diego Mayor Kevin Faulconer and more than 300 city officials and employees honored local women for their contributions as pubic servants at the city’s inaugural Women Elevate SD event, the city announced Friday. The city, One San Diego and the San Diego Regional Chamber of Commerce honored more than 100 city employees at the event Thursday night for their service and accomplishments. 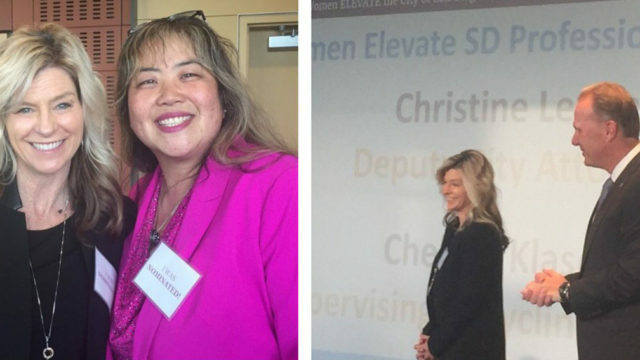 One San Diego awarded $500 scholarships to five local girls and young women for their professional and academic accomplishments while two city employees, Deputy City Attorney Christine Leone and Supervising Recycling Specialist Chelsea Klaseus, received scholarships for the chamber’s seven-month course to elevate local women in the workplace. According to the city, a review panel selected Leone for her work shepherding the city through the Pure Water program’s legal process. Klaseus was selected for her passion for environmental causes, especially within the city’s Waste Reduction Division. The city also presented its first Heart of Service Award to Assistant COO Stacey LoMedico for her work in public service. LoMedico has worked within the city for 33 years, starting as an intern while attending San Diego State University. Faulconer and a handful of city officials discussed LoMedico’s career accomplishments and announced that the Heart of Service Award will be named in her honor going forward.